January 24, 2019 – The U.S.-Japan Council (Japan) TOMODACHI Initiative (Head Office: Chiyoda-ku, Tokyo, Representative Director and President Irene Hirano Inouye) is pleased to announce the second “TOMODACHI Honda Global Leadership Program” that will take place from August 17 to 31, 2019. Recruitment begins on January 24, 2019. 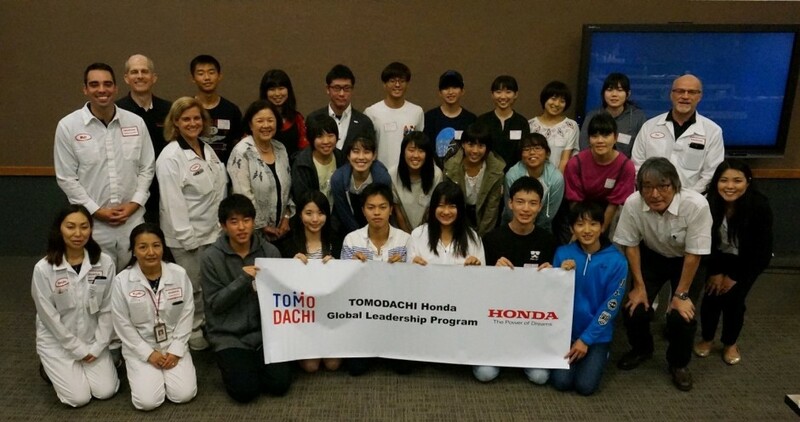 This program, generously funded by Honda Motor Co., Ltd. (hereafter “Honda”), was established in 2018, and originated from the success of the “TOMODACHI Honda Cultural Exchange Program” from 2014 to 2016, in which high school students from Iwate, Miyagi and Fukushima Prefectures, regions affected by the Great East Japan Earthquake, took part. Based on Honda’s corporate slogan, “The Power of Dreams,” the program provides an experiential learning opportunity, including a Pre-departure Orientation and a Follow-up Seminar, and aims to challenge Japanese youth who are leading the future to be globally-minded next generation leaders by exposing them to people that are driven by their dreams and showing them corporate activities that will inspire them to put their dreams into action. Beginning last year, participation is now open to high school students from all over Japan. The program will take place for three years until 2020. During this year’s program, the selected students will have the opportunity to travel for approximately two weeks to Torrance, California and Marysville, Ohio, where Honda’s headquarters in the United States and manufacturing base are located. Through exposure to American society and culture through interactions with local high school students and homestays, the Japanese students and Americans they meet will deepen their mutual understanding of one another. Applications will be accepted as outlined below. The TOMODACHI Initiative is a public-private partnership between the U.S.-Japan Council and the U.S. Embassy in Tokyo, with support from the Government of Japan. Born out of support for Japan’s recovery from the Great East Japan Earthquake, TOMODACHI invests in the next generation of Japanese and American leaders through educational and cultural exchanges, as well as leadership programs. The initiative seeks to foster a “TOMODACHI Generation” of young American and Japanese leaders who are committed to and engaged in strengthening U.S.-Japan relations, appreciate each other’s countries and cultures, and possess the global skills and mindsets needed to contribute to and thrive in a more cooperative, prosperous, and secure world.